‘Catherine’, a poem inspired from the novel – Wuthering Heights by Emily Bronte. To catch a glimpse of me. Though it still holds the same glint. For a moment at peace. Who haunt no one but each other…. Is it inspired from when Heathcliffe started having visions of Catherine, and later was dead and buried with Catherine?? Just a guess, I read it in my masters itself but remember it hazily. Wow, your answer is quite close. The true one well is from my favorite scene. When Heathcliff digs her grave and lies next to her decayed body. In her eyes she is still the same, beautiful cathy. His cathy. In that exact moment, my poem is in a way Catherine’s monologue. Ahaaan a fan I see… Thank you so much. Well I was just asking my friends if they could guess the scene here. Can you? Alas Nancy, I read WH decades ago and Jane Eyre is the novel that truly captured me. You might have to start a contest here 😊 But you have made me want to listen to the song by Kate Bush if you know it …. or have heard of her? Hahaha a contest no dear, I think that would be a little too much. Awww your words floor me love. Your most welcome love. 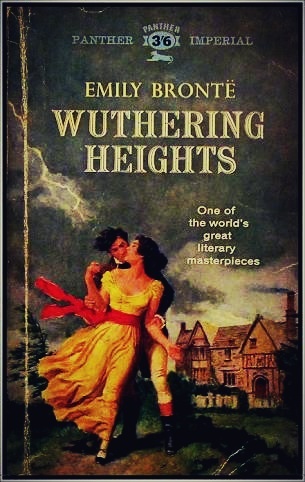 And yes, its quite different from the songs I hear but it actually fits so well to the plot of the novel and make you go back into the land of Catherine and Heathcliff.